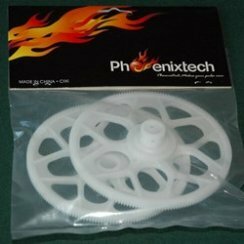 I first came across the Phoenixtech 600 ESP "Trex clone" while once again looking for a good Trex 600 ESP replacement. 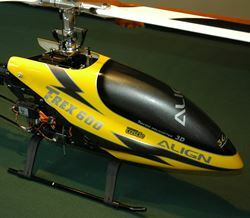 For many who know me, I still feel to this day, the Align T-Rex 600 ESP remains to be one of the best electric RC helicopters of all time. 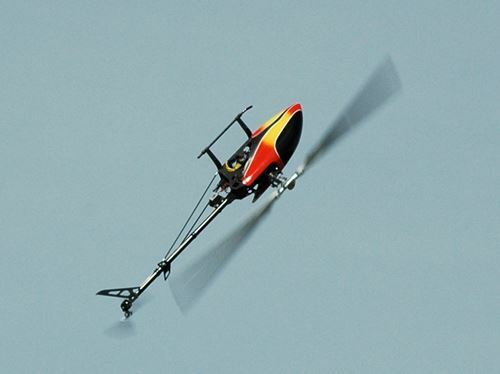 Call me old school, but as far as I'm concerned, it offered the perfect match of size, weight, and power for the average person who is looking for a nice 600 size electric powered RC helicopter. No, it's not a ridiculously overpowered & reactive 3D smacker; if that's what you're after, don't even bother reading any further as this is not the helicopter for you. The 600ESP also remains to be one of the best ever set of electric mechanics for 50/600 size scale fuselages - especially FunKey fuselages. It also works extremely very well for "Stretch Scale Builds", ie. fitting a longer 700 size boom on it for 60/700 size scale builds. Because they use torque tube tail drives, customizing the boom length is fairly simple. There are two main reasons why the 600ESP works so well in scale applications. First, there is no unsightly anti-rotation bracket that has to stick up through the dog house (the top part of a helicopter where the rotor mast exits). 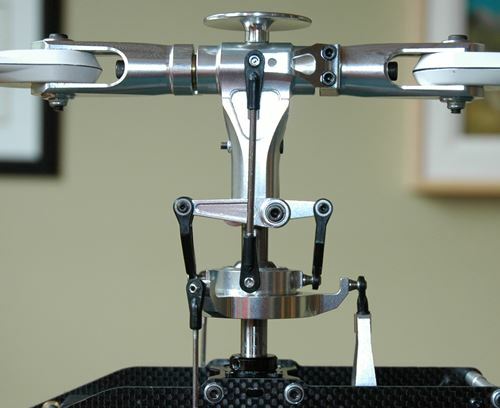 The 600ESP along with most of Align's larger helicopters from this time era uses an elevator A-arm which doubles as the anti-rototation device for the lower half of the swashplate. This helps a great deal at keeping the scale doghouse appearance intact. Second, is the placement of the swashplate CCPM ears. 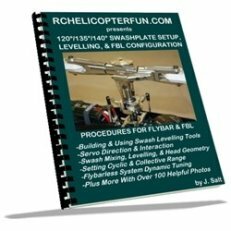 Most RC helicopters these days with 120 degree eCCPM mixing have the two (pitch & aileron) swash ears at the front of the helicopter and the elevator ear at the rear. The 600ESP however is different; it places the elevator input at the front and the pitch & aileron at the rear. As seen in the above photo, this is a huge benefit to a scale build as there is almost always more room on the back half of the doghouse opening for those two ears. If they were on the front like most other models, you would have to cut/grind some fairly unsightly grooves into the front of the doghouse to provide adequate swashplate pushrod and ear clearance. I got my first Trex 600 ESP back in 2010. I liked it so much, I got another one in 2011 for a scale Bell 222 build (both are now in scale FunKey bodies - a Bell 206 & Bell 222). Why A Phoenixtech 600ESP Clone? In 2011 the 600ESP was discontinued by Align leaving many of us shocked and annoyed! I did purchase and build a 12S powered Align Trex 600E Pro in 2012; but to this day, I don't enjoy flying it nearly as much as the 6S powered ESP version, and it's not nearly as good a set of mechanics for scale builds. 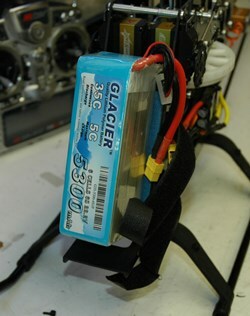 It also uses 3600-4000 mAh LiPo packs that I can't use in any other of my larger RC helicopters. That's another nice benefit with the 6S powered 600 ESP, they take a very common size 6S 5000-6000 mAh pack. The same size that can be used in many larger 700 & 800 size helicopters that run two 6S packs in series for 12S power. In other words my 600 ESP's (4 of them now), Trex 700 & 800, and Roban AS350, all share the same LiPo packs - what a great way to save money and stretch your LiPo usability! 2013 - back to the clone 600 ESP search... I found what looked like a decent 600 ESP copy by VWINRC (link takes you to my review on it), but they went out of business shortly after I got it and I've been searching for a quality replacement ever since. Not only for kits, but for parts as well to continuing servicing my fleet of 600 ESP's. I discovered the Phoenixtech 600ESP version in 2015, contacted them, found out all about the company, was very impressed, and even though I'm not a fan of clones, I decided to become a dealer after I got one to build and try out; that is how much I liked it. Again, it was never to offer a cheap copy of a great helicopter! It was to give those of us who love, and will always love the 600ESP the only decent remaining option for kits & parts. I also have to thank the many people who took part in the "600 ESP Questionnaire" I had up on my site for a few months to even see how much 600 ESP interest was out there before I considered bringing the first batch of kits & parts in. I knew there was a fair amount, but the questionnaire really confirmed it as I had nothing but lots of positive feedback on the idea. Now with that 600 ESP background out of the way, let's look at the kit close up. First up, here's an unboxing video so you know exactly what you'll get with the kit and get to see the overall quality of the parts. Parts quality is very good and I really have no complaints as everything went together as nicely as my Align 600ESP's. The lower plastic tray notches where about the only thing that didn't snap in as nice as what Align's do. I had to shave the little plastic nubs a little smaller but I suspect most builders wouldn't even bother to go to that extra effort and still get a decent fit. As I mentioned in the unboxing video, there are no instructions, but you can find Trex 600 ESP's instructions here, and I also have made a set of 600 ESP build videos which are on the sales page, if you wish to watch one of these Phoenixtech kits going together. Shown above is how good the main rotor blade balance was out of the box on the Dubro Balancer; so they do certainly seem to be good quality blades. Center of gravity/mass on each blade was likewise perfect. That said, I still recommend checking the blade balance - just as I would recommend on any heli build. Much of the kit is pre-assembled (loosely), so you do have to take it apart one section at a time when building it. This has pros and cons over having all the parts in separate baggies. I really don't find either way is better, just different. What I am getting at here however, is you do need to take it all apart to insure it's put together correctly, fasteners are clean, tight, threadlocker is used, and all thrust bearings are properly greased. 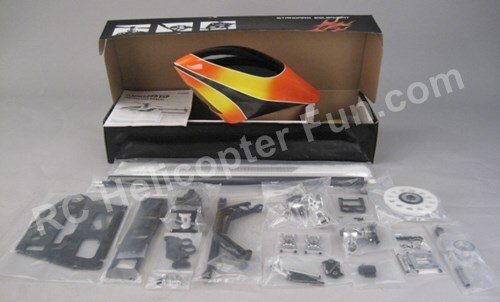 Nothing that you should be omitting on any RC heli build regardless of the manufacturer in other words. As far as Align 600 ESP parts compatibility, almost 100%! Almost??? Here is one thing to be aware of; the Phoenixtech version frames are spaced 54mm apart. The Align ESP Frames are spaced 47mm apart making the Phoenixtech version 7mm wider than the Align version. In fact, the Phoenixtech 600ESP is the same width as the Align 600E Pro or the 600 Nitro version. 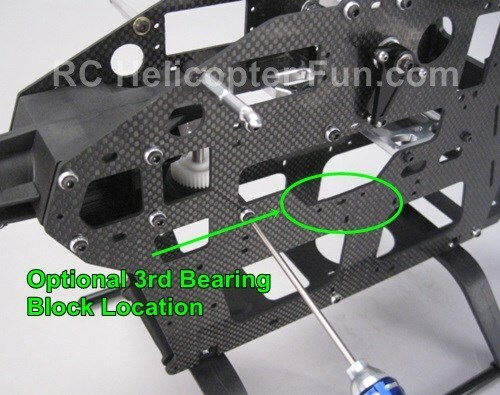 This means the bearing blocks, the motor mount, the front and lower trays, the metal frame spacer bolt, the bell crank/elevator control rod, and the tail boom case/block are wider than the Align versions. 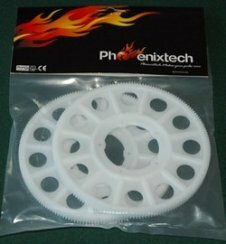 If you needed any of these Phoenixtech 600ESP parts for an existing Trex 600 ESP, you would have to get all of them and your frames would then be spaced 7mm wider. At first I was not too impressed, but I soon found out this was a blessing in disguise as the 600 size 1100 kv motor I ordered for it would have been too wide to fit into the skinnier Align 600 ESP. 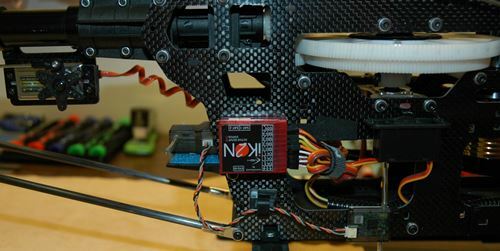 With many 600 size motors now being in the 49-52mm diameter range, it's very nice to have that extra width as it opens up more motor options both for 6S and higher voltage setups should you wish. This will make mounting this 600 ESP a little bit tighter up top in some fuselages if you are getting one for a scale build, but they will fit. For example, the FunKey Bell 222/Airwolf is already pretty tight at the front of the doghouse where the original Align 600 ESP front frame corners almost touch the doghouse. With this wider 600 ESP version, the front top corners of the frame will likely have to be ground down slightly; or simply sit the mechanics a few millimeters lower in the fuselage, but other than that, the fit is identical. By the way, the canopy mounting pins for the Phoenixtech 600ESP are 3.5mm shorter to account for the 54mm wider frame spacing. This means you can certainly fit the original T-Rex 600 ESP canopy or any other 600ESP canopy if you have one already. Shown here is one of my Trex 600ESP canopies fitting "like a glove" onto the Phoenixtech 600ESP. Speaking of canopies, I also received a good amount of questionnaire feedback stating there was a lot of interest in kits without the canopy if there was a cost savings. These people either already had 600ESP canopies or of course don't need them for a scale build. In short, I will have both options available (with & without the canopy) to save you a few bucks if you don't need the canopy. The only other item that is not exactly the same as the Align 600 ESP is the length of the tail rotor pushrod. Align's tail push rod is 563mm long, Phoenixtech's is 537mm long so it about 25mm/1" shorter. 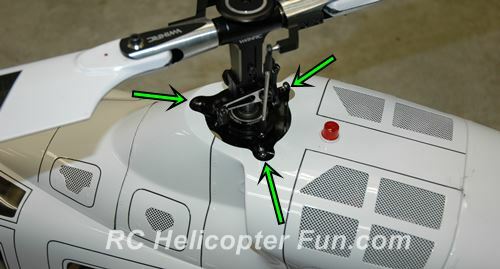 This means the tail servo sits a little further back on the boom even when you rotate the servo around so the output shaft is closer to the rear of the helicopter as shown below. By the way, just like on the Align ESP, all pushrods and link balls in the kit are stainless steel. Yep, many lesser quality clones suffer from drive gear quality and it has been my experience many are out of round to the point you can't use them. Even Align's 600 ESP gear sets suffered slightly from this, but certainly not to the same extent. I'm happy to report Phoenixtech's gear sets seem to be just as good as Align's. The kit also comes with a 15T alloy pinion which was very nice and exactly like Align's 15T alloy pinion. All main drive gears by the way are straight tooth, not slant tooth so they are direct replacements for the Align 600 ESP's gear set if you needed to get spares for your T-Rex 600 ESP. The carbon frames on the Phoenixtech 600ESP are 2.0mm thick as opposed to the 1.5mm ones used on the Align 600ESP giving us more rigidity. 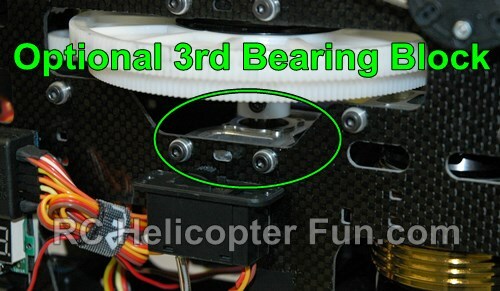 Another really interesting option Phoenixtech gives us is the frames are milled to accept a third bearing block for the main mast located directly under the gear set, just like on the 600 Nitro version. The kit doesn't come with this third bearing block from the factory, but I'm including one with each kit as I consider it a must have upgrade! This 3rd bearing block option is what really sets this 600ESP apart from all others (including Aligns'), and is just one more reason why I'm so impressed with these kits. There's no question all 600 ESP's when flown hard, can experience main shaft flex under the lower bearing block and this can over time, cause the autorotation one way bearing to seize or even cause the main gear teeth to strip out. The seized bearing problem actually has happened to me on one of my Align 600ESP's. 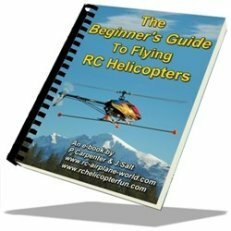 I documented it on my RC helicopter crash page before I knew the real reason behind it. Fitting the 3rd bearing block under the main and autorotaion gears essentially eliminates lower shaft flex while increasing overall frame rigidity and reducing the possibility of a stuck one-way bearing or stripped main gear. Definitely a beneficial improvement to add some extra skookum factor to the overall design. As you can see above, the main mast is also slightly longer than the original Align 600 ESP one to accommodate that optional bearing block should you wish to use it. This mast otherwise is the same dimensions as the Align 600 ESP one so it can certainly be used as a replacement for the T-Rex 600ESP. Phoenixtech also offers a flybar version of the 600 ESP, so for all you flybar fans, don't feel completely left out. Due to the responses I got on the questionnaire, I won't be carrying the flybar version to start with; but if there is enough demand, I'll certainly consider bringing a few flybar kits in. So feel free to contact me if that is something you would be interested in as I will likely be placing orders with Phonenixtech on a monthly basis. These Phoenixtech 600 ESP kits as shown in the unboxing video are "bare bones", meaning they come with no electronic components. 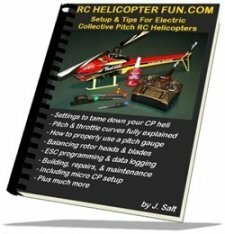 Most folks looking at this level of RC helicopter and by the questionnaire feedback I got want to pair their own electronics and that is why I'm not offering a specific electronics package with them. I could have just got what I'm used to and very happy with on all my other 600ESP's (Align 6 series servos, Castle Edge 100A ESC, Align or Scorpion 600 size 1100-1200kv motor, and likely a Bavarian Demon 3X FBL unit). All those electronics would add up to about $800USD. I did something different with this build however as I wanted to offer at least one budget minded electronics package suggestion that will work well. I've also been getting lots of positive feedback about HobbyKing's Turnigy RotorStar stuff and really wanted to try it out first hand, so that's what I'm using exclusively in my 600ESP except for the FBL unit. I had an older Align 3G unit in my parts box and I figured that was a good choice as I'm very familiar with what the Align T-Rex 600 ESP flies like with that unit; so I figured this would give a good "apples to apples" comparison while flying this 600. RotorStar digital coreless high voltage RS-610MGC-HV servos for cyclic: $20USD each. 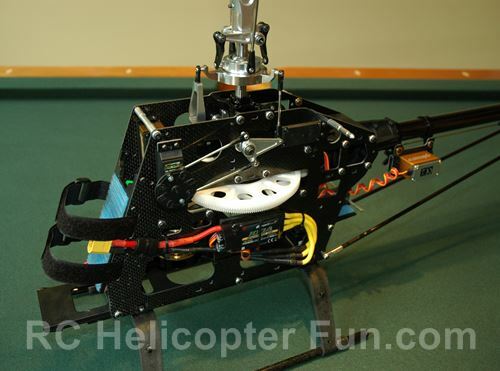 RotorStar digital brushless high voltage RS-BL507MG-HV servo for the tail: $54USD. Rotorstar Brushless Outrunner 600 Size motor 1100kv: $77USD. 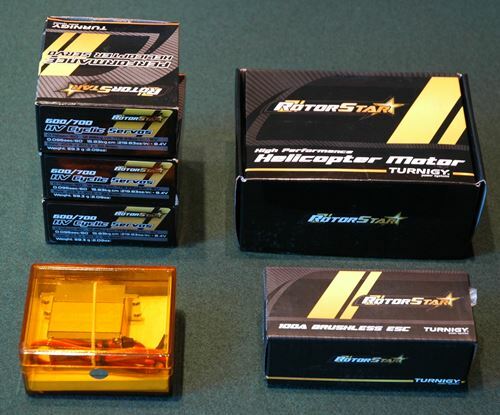 Rotorstar/YEP 100A LV 2S-6S ESC: $55USD. In other words, a very decent electronics package for about $250USD (not including the flybarless unit). I also give more component recommendations on my 600ESP component page. As many of you likely know, on larger RC helicopters, I prefer using dedicated RX battery packs over BEC's. 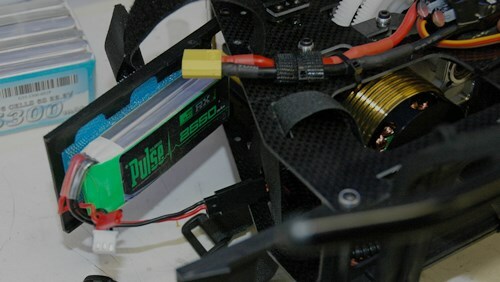 It's no different on this Phoenixtech 600 ESP and because these servos are all rated for high voltage operation, I'm running unregulated of a Pulse Ultra 2550 mAh 2S LiPo RX pack - bullet proof on-board power! I have to say, I'm very impressed so far with the RotorStar components I chose and with 100+ flights now, everything has been holding up very well. They have certainly exceeded my expectations considering the low costs. It is unfortunate Rotor Star stuff from HK is getting hard to find. However, most of these RS items are just re-branded versions of other brands they carry so a little digging and you can certainly find very similar/same spec servos, motors, etc. The motor is insanely powerful and to be honest, I have never flown any 6S powered 600 size helicopter to date with as much power as this thing can put out. I've got the ESC set to 9kHz and auto timing which is keeping the ESC fairly cool as well as the motor. The only potential draw back with this motor is it favors power over efficiency. For scale it may not be the best all round choice, but for sport, it's great! I'm not certain if my ESC choice is best at only 100A even though it is running cool. 100A is a little on the low side in a 6S powered 600 size heli if you fly aggressively. The Castle Phoenix Ice & Edge 100A ESC's have been working fine for me on all my other three 6S powered 600's, but this is not a Castle ESC. 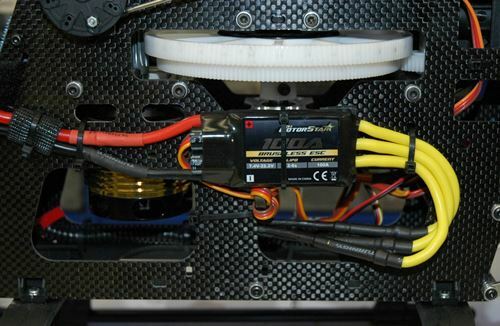 Burst current on this RS ESC is only rated at 120A! I know I'll never get there the way I fly, but if you wanted to play it safe, I do recommend going a little higher. They also have a LV (2S-6S) 120A ESC and a LV 150A one for only a few bucks more than the 100A one. 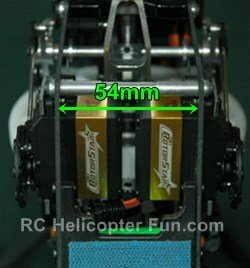 These RotorStar ESC's by the way are the same as the Turnigy YEP ESC's if you are familiar with them and their good reputation. If you decide on either the RotorStar or YEP ESC's, I definitely recommend getting the YEP programming card. It's only $6 bucks and you need it to access all the programming options. 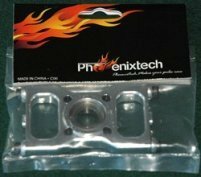 Now, I'm not saying these are the best lower cost pairings to install into your new Phoenixtech 600, but I did want to let you know about them as they are working very well in mine and I did at least want to give you some lower cost options for an electronics package from a popular online hobby source many of us are familiar with worldwide. I'm not going to recommend a specific flybarless system for the simple reason we all have very definite opinions on what FBL units we like and don't like. Put whatever FBL unit you like in it. Same goes for LiPo packs, but a 5000 to 5500 mAh 6S pack is a good size & weight. I would go with nothing lower than 30C and if you fly fairly aggressively, at least 35C and up. Lastly, this 600 ESP doesn't have to be 6S powered if you don't want it to be (thanks in part to the wider frame spacing for various motor options). You can go with 8S or even 10S (altering both motor kv and ESC as required). 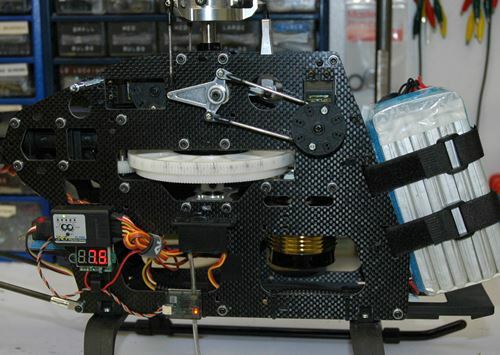 12S is pushing it because of LiPo placement upfront on that tray as there is not gobs of room. It would have to be a fairly small capacity LiPo pack with 12 cells for it to fit and not make the bird nose heavy. In some scale applications however, 12S would definitely be doable as there is so much more room up front in many of them. If you are not sure how to calculate what kv motor rating you may need if going up to 8, 10, or 12S, I have a full chapter on the subject in my Setup & Tips eBook, which is included for free along with my Swash eBook with every Phoenixtech 600 ESP Kit order. How well does the Phoenixtech 600ESP Fly? How should I answer this... "Like a 6S powered 600 ESP should" is about all I can say. For ordering information, please goto my Phoenixtech 600ESP sales page. Here's the link to the 600ESP parts page. Here's the link to the 600ESP component suggestion page. If you have any questions at all about these kits, please feel free to contact me.